If you are a close watcher of the US steel industry, you can appreciate what a unique time we are in today. You might call it a simultaneous High and Low Tide. It wasn’t long ago when we were going through a painful period of contraction thanks to difficult operating conditions, competition with cheap imports, soft demand, and a tightening regulatory environment. Plant closures and extended shutdowns were not uncommon. As a result, there was a significant impact on the workforce. Workers left the industry in large numbers whether by their own choice or not. Those who were lucky enough found new jobs in other industries while the unlucky ones simply found themselves without any options and at the mercy of their employers. More recently, the situation has changed and the industry is making a significant rebound. China cut its steel capacity which has helped boost global prices. The US imposed section 232 tariffs, making it harder for imports to flow into the country and lifting US steel prices even further. Manufacturers became profitable again – the US steel price index is running nearly 60% higher than China’s price index and 38% higher than the European index. Add to that the low cost of energy in the US, availability of high-grade coke, a large market of steel scrap and efforts at deregulation and it all adds up to making the US an attractive destination for steel investments once again. The evidence can also be seen in the fact that steel plant construction is once again on the rise, and previously shuttered plants are now being restarted and revamped to expand capacity, accounting for an estimated $12.9 billion in new investment and the creation of 6700 jobs [AISTech.org March 2019]. It’s all great news for an industry that has seen its share of hard times, but it raises one important question. How are these plants going to operate given that the skilled workforce that used to run everything has moved on to other jobs, other industries, or into retirement? I recently spoke to a plant manager in the Midwest who said, “We have a lot of jobs available, but we can’t find the people to fill them.” And he is not alone. With unemployment in the US running at 3.8%, competition for scarce human resources is high. Then consider that the average age of US steelworkers is over 50 years old and even more vacancies will result as they retire. And the next generation of potential workers doesn’t exactly see the steel industry as an attractive opportunity. So what kind of ship could navigate the US steel industry through both high and low tides at the same time? Let’s just call it the “S.S. Digitalization.” It offers enormous potential, but the industry needs to really embrace Industry 4.0 and the digital transformation to enjoy all the benefits it can deliver. As an example, robotics has made good inroads. The use of industrial robots in steel plants is growing at 55% per year, where they are being used to replace manual labor in repetitive or hazardous tasks. Another example is the introduction of Artificial Intelligence (AI) to perform sophisticated process analysis to improve plant performance. And now there are fully autonomous trolley cranes, not just automated cranes mind you, that can not only help solve the workforce gap, but do so at higher levels of productivity and safety. 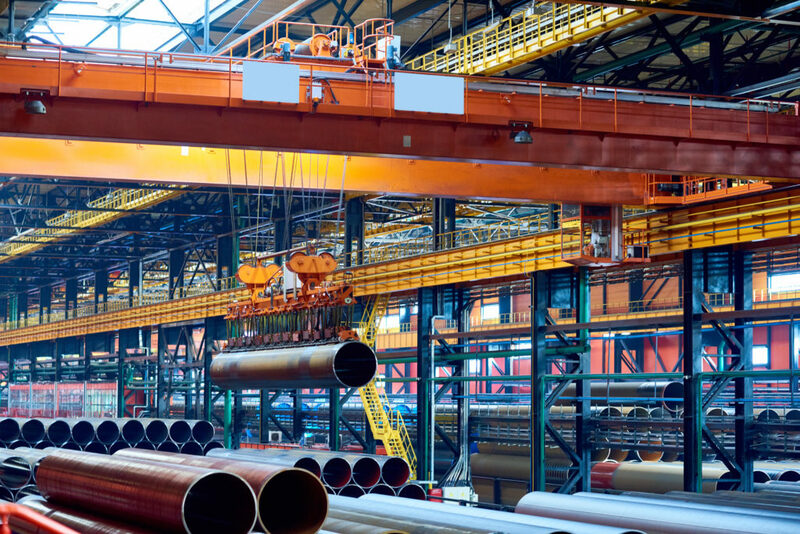 From stock storage management to fully automated crane operations, this technology will reduce the need for crane operators and allow plant management to reallocate those valuable human resources to other areas where their skills and experience can be used to fill roles steel producers have had difficulty in filling. To see a webinar we recently hosted on autonomous cranes, please go here. To learn more about digitalization, Industry 4.0, and innovative solutions like autonomous cranes, please come visit Schneider in person at AISTech 2019 in Pittsburgh, May 6 – 9, Booth #2153. The post Navigating the changing tides of the US steel industry appeared first on Schneider Electric Blog.